The Kansas City Chiefs 2013 season was certainly exciting. Making the playoffs on the heels of an 11-5 regular season has us motivated to continue building on the foundation we’ve laid, both on the field and throughout Chiefs Kingdom. 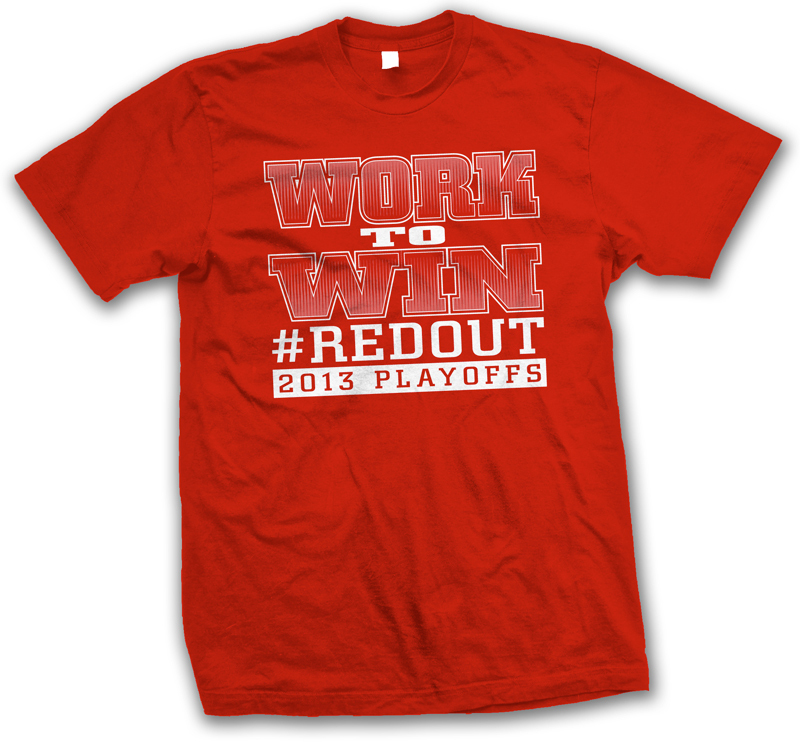 As you might have heard, my teammates and I celebrated our playoff berth by coming up with a shirt designed by the players, for the fans. It featured the mantra of “Work to Win” which was a battle cry of sorts Coach Reid instilled in our team from the first day of training camp. We chose to feature that theme on the shirts because we felt it unified not only our team but the entire Kansas City community. As a group, our team decided to have the proceeds from these shirt sales benefit local charities making an impact in the metropolitan area. The Children’s Center for the Visually Impaired, Make A Wish Foundation, and The Children’s Place are the local organizations we chose to support. We will be delivering the checks to each charity within the next week! We are very excited to help out the local charities. As a result, we hope that it will help the children and their families to function successfully in the world.